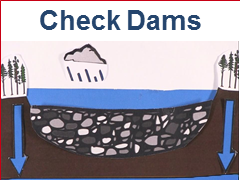 Check dams are an effective and inexpensive way to improve watershed conditions. 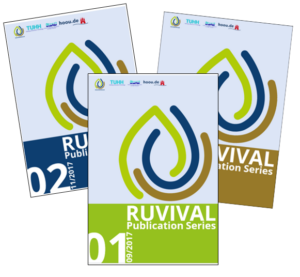 They serve to reduce erosion, slow down water flow in gullies and re-establlish vegetation for grazing and can be constructed from locally available materials. Building check dams may be of interest for local farmers, herders, area authorities and people with property rights to the affected hillside and downstream areas. It is important to note that check dams are to be built in groups and are most effective when combined with other watershed management measures. If you are interested in learning how to build check dams, take a look at the check dams handbook below! It will provide you with step-by-step building instructions, as well as the needed materials and equipment. 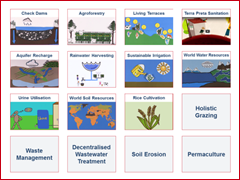 Check Dams Handbook by Giovanni Timillero and Ruth Schaldach is licensed under a Creative Commons Attribution-ShareAlike 4.0 International License. Pictures taken during a research stay at the Slope Farming Project in Arba Minch, Ethiopia.